Slower fashion; Fish on trombone, Mike on electric drill, and Trey on megaphone. Chanting of "Send me on my way." 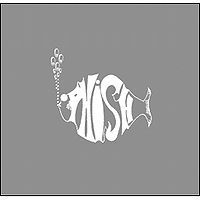 Stash was unfinished and melted into I Didn’t Know, which was performed in an eerie, slower fashion and featured Fish on trombone, Mike on electric drill for the first time, and Trey on megaphone. Antelope contained a Voodoo Child tease from Trey. Bowie included some odd chanting, including the phrase “Send me on my way” (although not in a manner similar to the Rusted Root song of the same name). In my listen through of Summer '95, this is the first show that really got me riled up. Loved the Mud Island Tweezer and several other moments from the first half of June, but this whole performance soars above and beyond. I love the symmetry here, both sets are about the same length. Stash > IDK caught my attention. And then Fluffhead, which I am not usually inclined towards is a real rager. The Bowie is a must hear. A+ Theme with great jamming and great execution throughout. And then an emotionally stirring Slave to finish things off. Powerful stuff. I love this tour. this is one of my favorite shows of the summer tour, which is stacked with great shows. this show has excellent flow, excellent playing, and some damn good jamming. the setlist is very strong too. also, like a lot of the shows from this tour, it is so well paced and vey well structured. my friend my friend gets the crowd honed in right off the bat. sparkle gets the energy up and ac/dc bag steps it up another peg. the bag is nice and fun with a quick little jam tacked on the end. old home place fits in well before a solid early taste. the wedge fits in well before a very good stash. they stay down in the spacier realm for a while before starting to storm back into the stash refrain. instead of going back into the lyrics, they take a weird twist into i didn't know. this is one of the stranger versions of i didnt know you are going to hear. it is slower with some odd instrumentation, eg mike on drill and fish on trombone. then they close this one out with one of my favorite classic pairings, fluff>antelope. fluff is performed brilliantly, and then, trey and fish really burn through a red hot set closing antelope. my sweet one is kind of an odd opener, but it works well. hahaha is pretty damn funny coming out of my sweet one. this must have been the weak of bowie's. they played a killer one at deer creek 4 days later. anyway, coming out of hahaha, they move into an amazing bowie. trey just buries the middle section, along with some good playing by trey. strange design gives everyone a quick breather before a good early theme from the bottom gets the crowd back in the game. theme, being a very new song at this point, was really pretty damn good right off the bat. i really like the 95 version of these tunes. mule gets the crowd really going, but i feel they kill the momentum with the acoustic army. 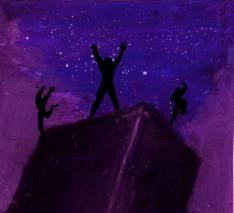 alas, they rally back with a very good slave. page sounds marvelous on this one. batr>frankenstein offers a bit of something for everyone in the encore slot. very good show, and like a lot of the "bigger ampitheaters" coast to coast, phish made a very good debut here in '95. So this was my first show of 1995. I was fully committed to Phish at this point. All I had on my agenda was seeing Phish. I ended up going to 43 shows this year. My friend and I hitchhiked from Windham NY to Memphis to start tour. We made it to Winchester Virginia and were taken off the highway by a sheriff. He dropped us at a Greyhound station where I had to pony up almost all of my money for the tickets to Memphis. My friend was flat broke so I had to cover him as well. We got to Memphis on show day only to be shut out. We were able to sneak over the bridge and go hide in the bushes and we thought for sure we were getting in. Right before showtime security found us somehow. I really don't know how we were deep in the bush right on the river. I slipped in a few times and man did my legs smell. After the show I hooked up with a righteous phan named Chris Granzow. If anyone knows him please PM me! Chris agreed to drive us through Deer Creek which was pretty damn sweet. Driving through Alabama late that night we ran into the tour bus at a gas station. Mike and Page were inside and they looked pretty knackered. We said hello and they were pleasant as always. It was kind of weird being 3 am and all so we didn't bother them too much. We all walked out together and they started walking in the opposite direction of the buses. So we yelled "Hey Mike you are headed that way!" They shuffled off toward the buses and we parted ways. Southern summer tour 95 was pretty interesting. They were playing venues that were way too large for them at that point. But that just meant that a lot of people who were curious about the band could go check them out without stressing out about tickets. It also meant there were tickets everywhere usually for free if you knew how to ask. I would have paid if I could but I was pretty damn broke. It was great seeing the band after 6 months off. That was the longest break I had had in a long time. They definitely seemed to be taking things out there a lot more. Lots of improv and extended versions of songs. I didn't always approve but I loved the Bowie they played here. Stash also went into some new places along with the freak IDK. I was also a bit apprehensive about the new tunes like Taste and Theme. I dug the music but not the lyrics so much. But regardless of the new tunes this was a great show with a lot of fun and great playing. On Thursday, June 15th, 1995 Phish played at Lakewood Amphitheatre for the first time. Phish would play there seven more times after that, all of which are memorable. The venue, now officially called Aaron's Amphitheatre at Lakewood, has held a number of different names over the years. The venue is in Atlanta and holds approximately 19,000 fans, a good sized venue for the band in 1995. 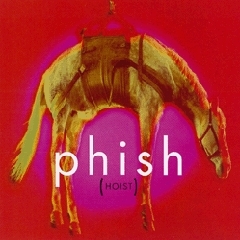 1994 and 1995 Phish is pretty special. They had grown out of the smaller places, though still almost totally underground. They had made their voice and endeavor solid in where they stand in American musical culture by this time--with an exploding fan base to watch their journey. During these two years, Phish had started really experimenting with songs in ways they had not in 1993 and earlier. 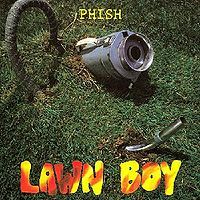 Known for extremely experimental and long Tweezers, there is little Phish was unwilling to try in '94 and '95. 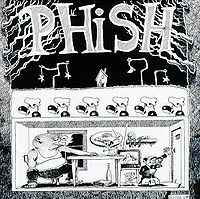 This concert is a perfect mix between the extreme improvisation, blazing rock and masterful composed arrangements Phish has to showcase--all performed with the surgical precision that 1994 and 1995 are know for in Phishtory. Because I am short on time while posting this, I am just going to get to talk about the noteworthy stuff. Sparkle > AC/DC Bag was a great combo in the beginning of the first set. The intensity and playfulness of AC/DC Bag highlights what I said in my Bring Back the Jams post a few days ago about the song. The jam is naturally somewhat short (9 min minutes total) but has direction and doesn't lack the fun that recent ones do. 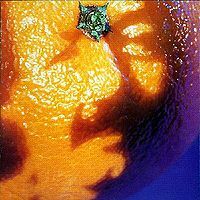 Nothing out of the ordinary for 1995, but thought I should mention it in contrast to my last post about the song. Then they play Old Home Place, the bluegrass cover I hope they play at Telluride this year (all I have to say on that song now). Stash->I didn't Know is very interesting. Stash clocks in at about 14 minutes and kind of goes into space for a while before Trey plants his feet and manages to come to somewhat of a climax before settling down to go into the end lyrics. However, Stash's end lyrics never actually come and the words "I Didn't Know" are slowly chanted. They go into the song, albeit quite a different style. It is a slow version with Fish on the trombone and Mike on the electric drill. Quite eerie, and obviously cool. The first set closes with an excellent version of Run Like an Antelope. If someone asked me what the song sounded like live, this is what I would play for them. Fishman is masterful with the wood blocks in the intro, accenting all the notes with his splash cymbals and other quirky sounds--executed perfectly on his part (I know this sounds weird to mention, but give it a listen. He really does sound exceptional in this version). The jam segment is played with intense fervor on the whole band's part. Fishman doesn't know how high Trey is going to take it at the end and snaps into the end "reggae" segment prematurely, then has to pop his drums back into high gear to catch back up with the band. Just a wonderful version, the crowd is pumped at this point going into setbreak. 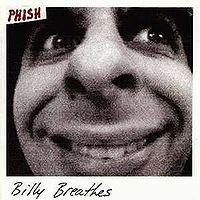 After an upbeat My Sweet One, Ha Ha Ha drops on the crowd--usually when Phish plays this the crowd knows Phish is having fun on stage. Out of the murky end to the song, Fish slowly closes his hi-hat for an eerie introduction to David Bowie. After the execution of the intricate composed section, the band sinks into improvisational bliss with this 20+ minute version. About seven minutes from the end the band starts building up to the thrilling finish. I don't know if I can think of a version that soars higher than this one does going into the final end segment. The trilling section is executed with flawlessness and creativity that might be unmatched and after the second "lull" in the trilling segment, Trey comes back in almost peaking instead of the expected trilling, eventually getting back on track with the usually flurry of intense notes--the crowd exploding along with them the whole time. This David Bowie is a MUST HAVE in any Phishead's collection. The second set closes with a healthy sized Slave to the Traffic Light-- Trey filling the crowd with bliss as he solos towards the end. A great version, although it lacked the soaring peak I expected after his playing in this version. My favorite version of the song is from this same venue four years later on Independence Day. Get this show, it's Phish at their best. I just wanted to mention a little something to the already posted reviews. The I Didn’t Know is the “not to be missed” portion of the show. Granted, the whole show is a barn-burner, but, IDK is unique, and probably one of a kind. Notes are attached to it, but, I wanted to mention just ‘how’ Trey plays the megaphone. For portions of the song, he is achieving feedback by cramming a ‘burger ball’ into the horn portion. When I say ‘burger ball’, apparently, someone who worked at Wendy’s/Burger King (I thought it was a Burger King promotion) liberated several cases of these from their employer. They were 8” mini-beach balls that looked like hamburgers. Literally, hundreds of these popped up prior to the show, were blown up, and were bouncing around the venue. Dozens of them made their way to the stage as the sun set. This is how Trey ‘plays’ the megaphone, and, if you listen closely, he mentions them.... ‘When Wendy’s blow-up Burger balls come greet me’. Fun Fun Fun!!!! 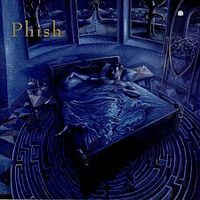 Even at a rating 4.38 (at time of this writing), this show is still one of the most underrated shows in Phish's career. The show is smokin' hot from the jump and there's not a dull second anywhere. The playing is so ferocious that you can hear the PA growl on serveral occasions, and it's obvious that every square inch of The Lakewood is filled to the max with rich sound. Add to all of this that the jams are so intricate & downright weird - forget LSD, more like PTSD! This has 97-Foreshadowing written all over it. Warning - back to back listens are not recommended for cardiac health. Str8Fyah. Can't think of a better first show than this! It was my last summer living in my hometown of Atlanta and 3 days before a totally different adventure driving all the way up to New Jersey to see my last two Dead shows in Giants Stadium. I only knew about 1/3 of the songs, but the My Friend opener followed by Sparkle were definitely some of the ones I loved. My buddy made sure I knew to clap during Stash and tried to prepare me for the craziness of my first Antelope. The David Bowie in the second set went over 20 minutes prompting me to turn again to my buddy: "Is this still the same song?!". Strange Design was the most beautiful song I had ever heard, I almost thought it was a dream. Scent was also one of the songs I knew and, being Jewish, appreciated/was familiar with the Klezmer breakdown in the middle. They wrapped up with the appropriate Bouncin' encore (which was still known as their one sort of "mainstream/popular" song) followed by the all time classic rock staple Frankenstein. One of the other guys I was at the show with made a very appropriate "This is what it's all about" declaration after the first notes rang out. All in all, it was an amazing first show experience. I knew I would go on to see dozens of other shows in the years after. Of course, once Jerry died, who else would I have gotten on the bus for? !